Special Offer For Fat Burning Nation Facebook Fans! As you may know, Ms. Shawna Kaminski is having an amazing deal on her Challenge Burpee Program. So check this out, I wanted to let you know that time is running out on the opportunity to grab over 31 different workouts that will help blast away unwanted belly fat and shape your physique like never before. I am only offering this FREE BONUS for the next 36 hours so you must act fast! Thank you for supporting Fat Burning Nation! => Click here for 21 Burpee Challenge Workouts <—— Plus 10 Workouts created by my for YOU! P.S. 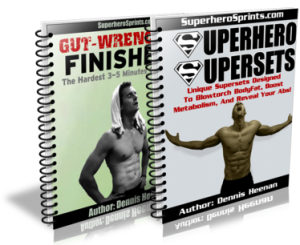 Please email dennis (at) fatburningnation (dot) com with your receipt number to get instant access to both the Gut Wrenching Finishers and Superhero Supersets workouts!